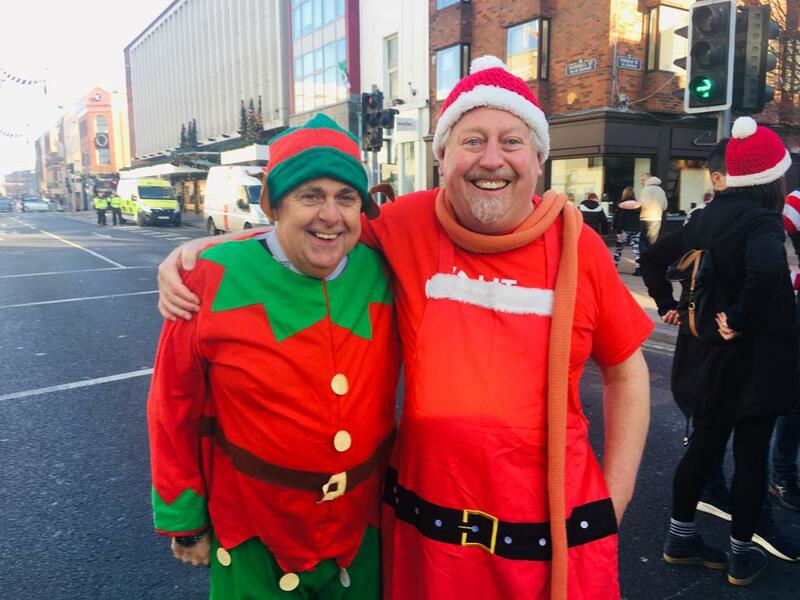 LIMERICK's main thoroughfare was closed to the public on Sunday afternoon, with a special 'Santa Dash' taking place before the turning-on of the Christmas lights. A running track of 100m was laid on O'Connell Street, with a wide range of races, including a parent and toddler race, races for youngsters and those young at heart, as well as a wheelchair race. John Moran, who chairs Liveable Limerick, has hailed the success of the event, which saw hundreds of people taking part, and insisted it will be the first of many. "It was just brilliant. It was amazing to see O'Connell Street being used in this way, with people jumping in sacks, and races taking place on the street. It was really special to see a wheelchair race happening in the middle of the street, and show Limerick can send out a message of inclusion," he told the Limerick Leader. The event raised a significant amount for Novas and the Peter McVerry trust, with the aim of it demonstrating how the city streets can play host not just to cars but to fun participation events. John revealed how despite the fact the street was closed to cars, a two-year-old was scared to go out on the street in case there were cars oncoming, something he says demonstrates even more the need to pedestrianise O'Connell Street. A number of local businesses organised the event, which was the curtain raiser to the turning on of Limerick's Christmas lights by Mayor James Collins and cervical check campaigner Vicky Phelan.